A lifetime demanding self-defense, one night they fought back. Out in the Night is diligently working on our TAKE ACTION campaign. 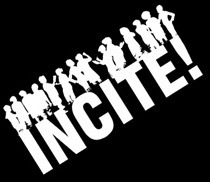 Please continue to check back in the coming months for further information and ways to TAKE ACTION. To donate to this campaign, click here. FIERCE has supported the NJ4 since the day they were arrested. This vital organization should be recognized and honored throughout the country. Dedicated to building the leadership and power of lesbian, gay, bisexual, transgender and queer youth of color. Donate to FIERCE to help them continue to develop politically conscious leaders who are invested in improving the LGBTQ youth of color communities, cultivating the next generation of social justice movement leaders who are dedicated to ending all forms of oppression. Since Newark opened its first, much needed LGBTQ Center in 2014, it has quickly become a safe space, a resource, and provided a range of services, events and programs to hundreds of LGBTQ people of color in the greater Newark area. Stop Street Harassment is dedicated to documenting and ending gender-based street harassment worldwide. Street harassment impedes gender equality and must be taken seriously. SSH focuses on documenting the problem and demonstrating why it’s a human rights violation that must be addressed. Color of Change exists to strengthen Black America’s political voice by empowering Black Americans and allies – to make government more responsive to the concerns of Black Americans and to bring about positive political and social change for everyone. 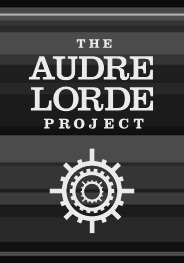 Audre Lorde project is a Lesbian, Gay, Bisexual, Two Spirit, Trans and Gender Non Conforming People of Color center for community organizing, focusing on the New York City area. Through mobilization, education and capacity-building, they work for community wellness and progressive social and economic justice.